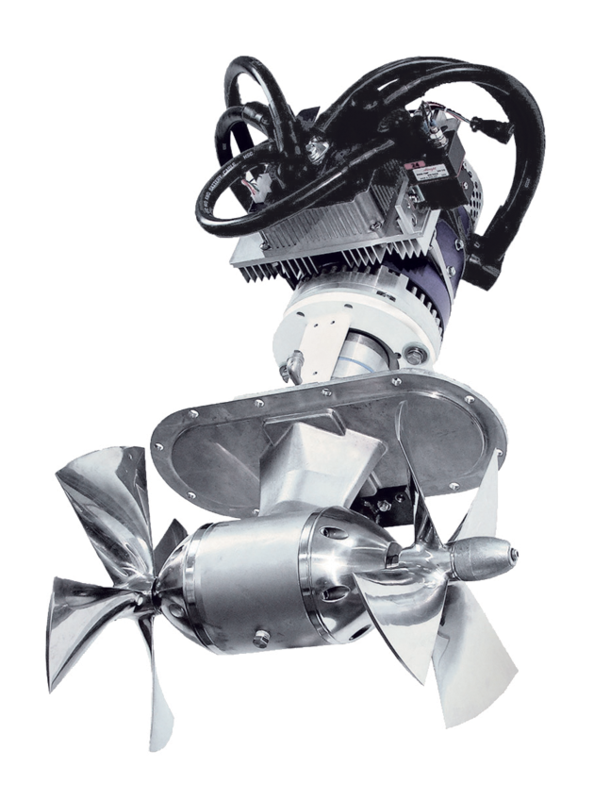 WESMAR's line of commercial grade counter-rotating dual propeller thrusters sets the standard in the marine industry. 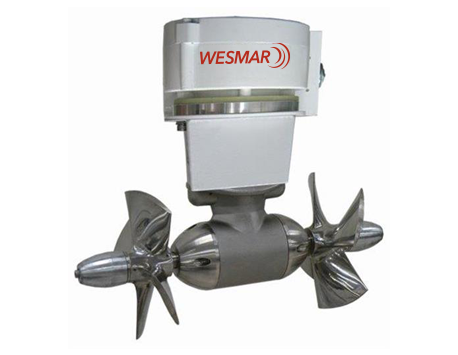 The use of counter-rotating dual propellers, a WESMAR innovation, splits the power between matched gear sets thus yielding very high efficiency. The aft propeller recovers the swirl energy left behind by the forward propeller creating more thrust. 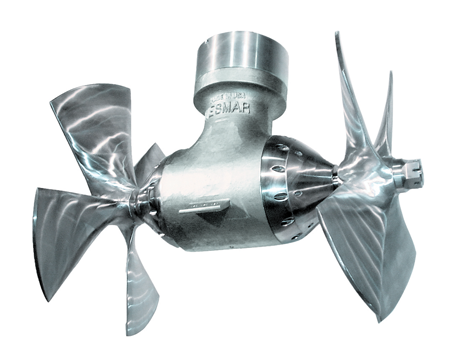 All bow thruster components exposed to seawater are made of stainless steel including the 4-blade Kaplan props, drive leg, shaft, bearings and seal carriers. The highest quality seals are fitted to the input and output shafts to prevent water ingress and oil leakage. All seals can be replaced without dismantling the complete thruster unit. 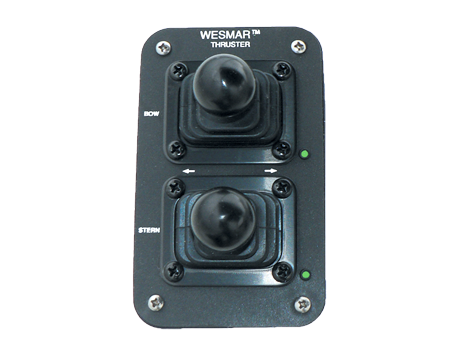 This best in class reliability translates to enhanced safety for the vessel operator and crew. 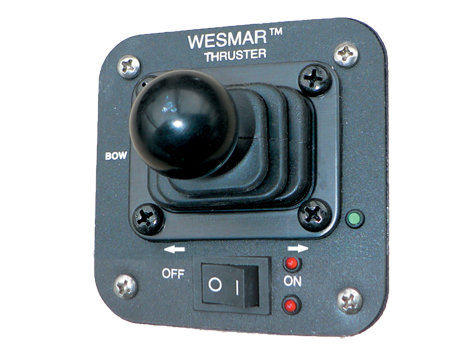 WESMAR thrusters are available with a choice of DC 12V, 24V, 48V, AC Variable speed, or hydraulic power. These drive options are available with ON/OFF or proportional control. Multiple control stations can be provided with on-off or proportional controls. 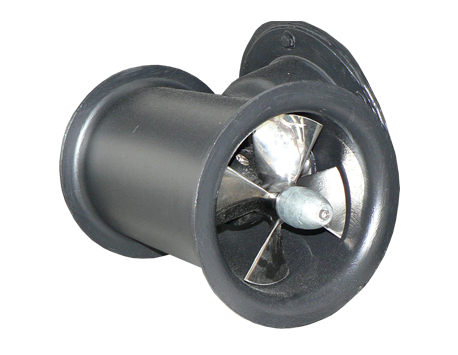 Easy Retrofit: Upgrading your thruster is simple and easy! 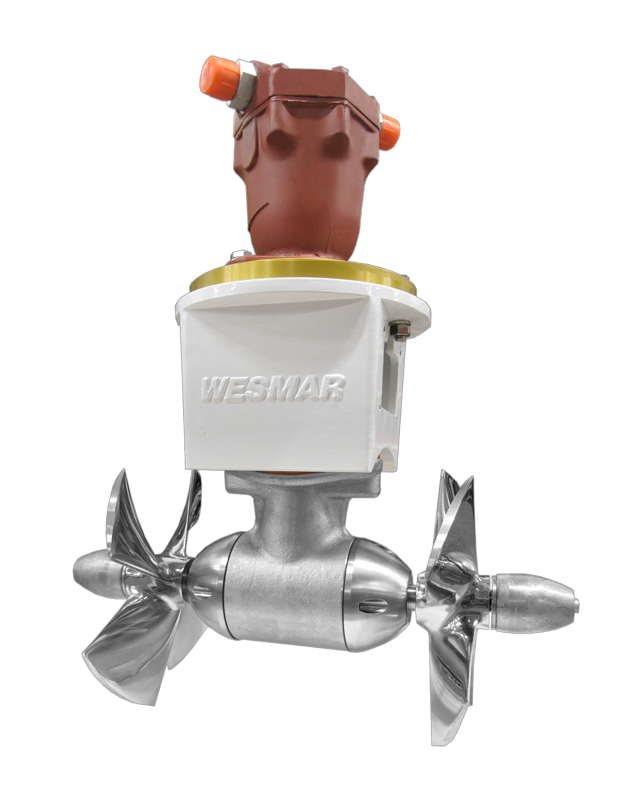 WESMAR's two bolt design allows for a simple drop-in retrofit on existing metric sized tunnels. Both the V2-7M and V2-10M models are drop-in replacements for Max Power, Side Power, and Vetus thrusters. 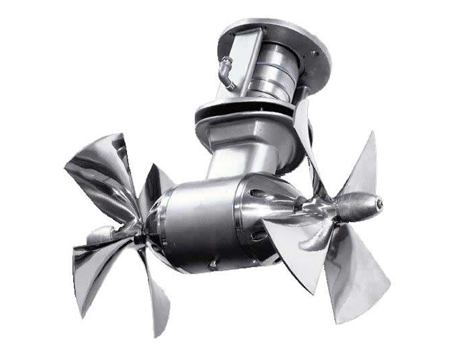 Best in class quality of design and construction make WESMAR thrusters a long-lasting investment. 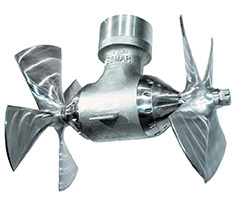 WESMAR Thrusters are manufactured to the highest standards and have been designed for maximum durability and reliability. Technical support is available around the world from a team of professional service personnel. WESMAR can build or ship most parts to any destination in the world within 24 hours.